Everyone is always looking for interactive fun and excitement to entertain the crowds. 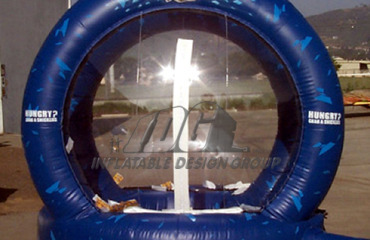 Inflatable Games can be a wide range from inflatable bounce houses, inflatable jousting games to inflatable money machines. Slide into some interactive fun with Inflatable Design Group’s branded games. 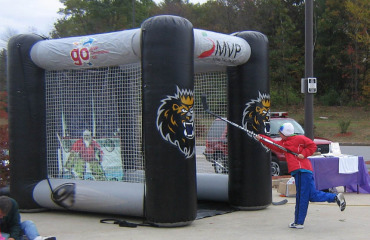 Keep your message in front of the crowds for as long as possible with interactive inflatable games! 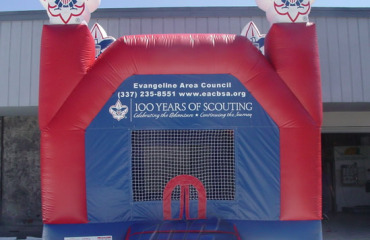 Inflatable bounces are a fun way to add excitement to all age events. The kids love interactive activities. 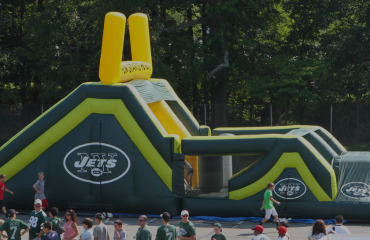 Bounce Houses have been around for years and are still one of the most popular items at the party. The best inflatable competitive game around, interactive excitement with each participant. Inflatable obstacle courses always have the longest line of people at events. There is no better way to engage in some great competitive fun. We have built hundreds of Inflatable Obstacles courses for large companies, small businesses and individuals. Inflatable Costumes are mobile and entertaining. 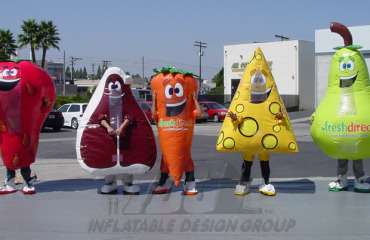 Whether it is a company logo or a halloween costume, inflatable costumes are a great way to stand out in the crowd. Make it interactive. Click here for more information. Inflatable money machines are an awesome interactive way to spark excitement. Money machines are a great for fundraisers and corporate events to give the participant something to look forward to. We have inflatable money machines in stock and ready to make your next event a great success! 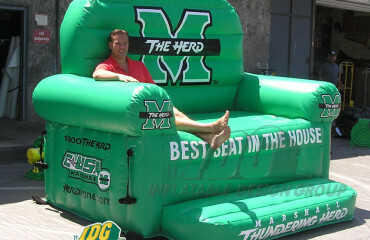 Interactive fun as you take a seat on a GIANT oversized chair or couch. You can be the envy of all when you kick your shoes off and relax in comfort with this big chair. The perfect place for a selfie! 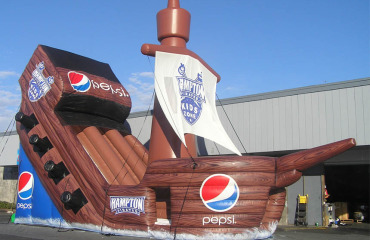 Draw crowds and promote your brand with new interactive fun and excitement from Inflatable Design Group! Inflatable Snowglobes are a great place for a little interactive fun! Enhance your best holiday photo inside one of these big globes. Inflatable Snowglobes come in all sizes and can be created for the promotion of a product or interactive fun. 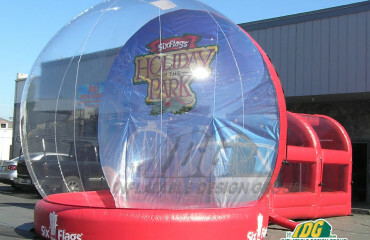 Inflatable Snowglobes can be used at fairs, holiday carnivals, special events, shopping mall displays and so much more.